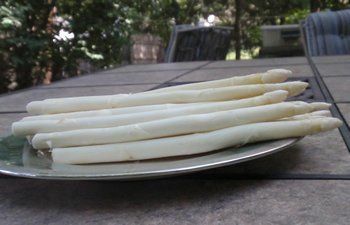 White asparagus is sweeter and milder than green asparagus. 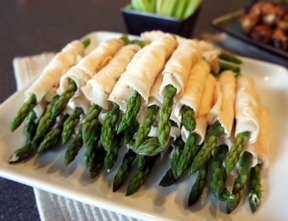 White asparagus is popular in Europe; in the U.S., it's a more of a specialty item. 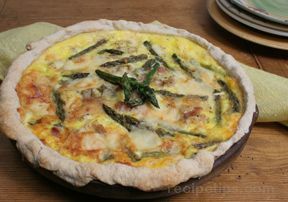 Look for it at farmer's markets or the produce section of gourmet grocery stores. 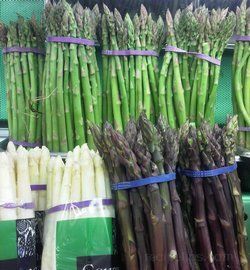 White asparagus actually comes from the same plants as green asparagus, but has a milder, more delicate flavor. 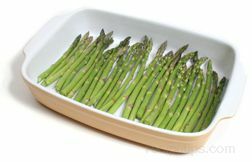 Why is White Asparagus White? 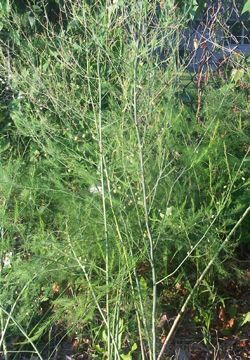 White asparagus isn't a special variety: it's white because it was kept covered in mulch while it was growing. 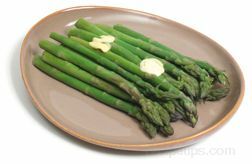 It has the same nutrition as green asparagus, and it comes from the same plants, but the flavor is subtly different. 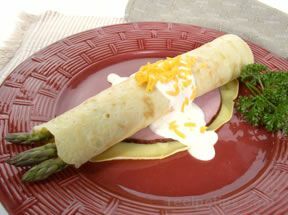 You can use white asparagus interchangeably with green asparagus in any recipe that calls for it. 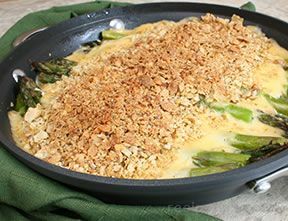 Like all asparagus, you want your white asparagus to be as fresh as possible. 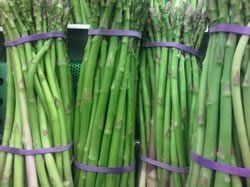 Locally grown asparagus bought in season will always be superior to asparagus that's been shipped in. Look for sturdy, unblemished spears with tightly closed tips. 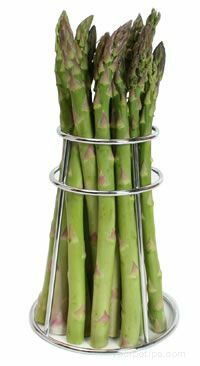 Asparagus requires a fair amount of space and direct sunlight to grow, and you can't harvest for two to three years after planting. 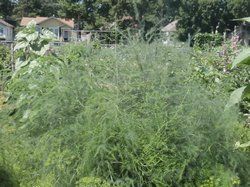 However, if you already have a patch of asparagus and would like to try growing white asparagus, cover the plants in the spring with a thick layer of mulch (eight inches or more). 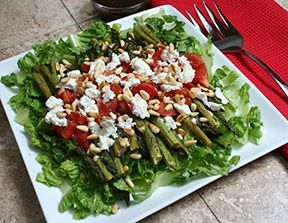 Asparagus requires sunlight to develop chlorophyll. If you shield the shoots from the sun, they'll stay white. Harvest them before they break through the mulch. Snap the bottom inch or two off each spear. (Hold each spear at the end and midpoint, and bend: the part that snaps off is the part you don't want to eat.) 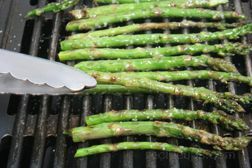 Peeling asparagus is an optional but recommended step with thick spears. 1. 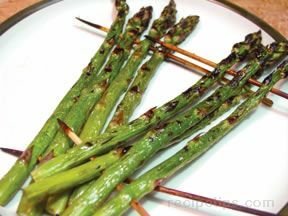 Peel the asparagus and cut into two-inch pieces. Set the tips aside. 3. Add the broth and wine and simmer for 30 minutes. 4. 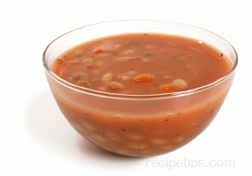 Use an immersion blender to puree the soup, or if you don't have an immersion blender, puree in batches (carefully!) in your blender or food processer. Return to pot. 5. 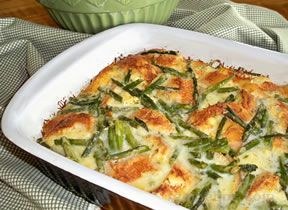 Return the soup to a gentle simmer and add the asparagus tips. 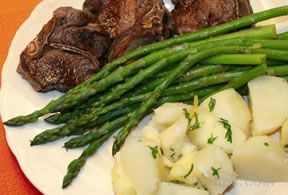 Cook for three to five minutes or until tender. 6. Lower heat and stir in the cream. You do not want to boil the cream. Season with salt and pepper to taste. 7. Garnish with parsley, if you'd like. 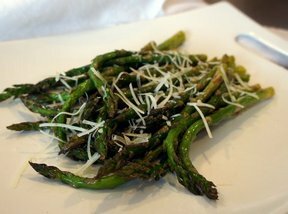 Keep things simple -- asparagus doesn't require anything elaborate. 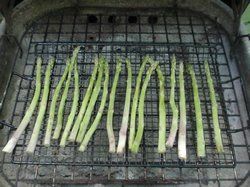 For grilled asparagus, toss the spears with olive oil, wrap a single layer in a foil packet, and lay the packet on a medium-heat grill for five minutes. 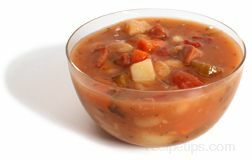 Feel free to add some fresh rosemary or some balsamic vinegar to the packet. 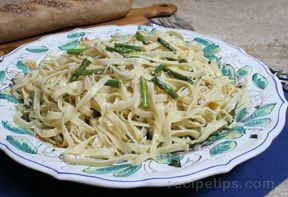 Because of its delicate flavor, white asparagus is also ideal for salad recipes. 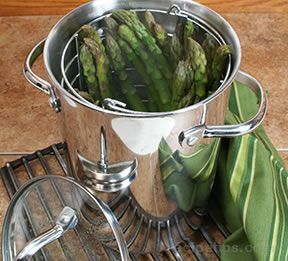 Steam or grill the asparagus, then cool. 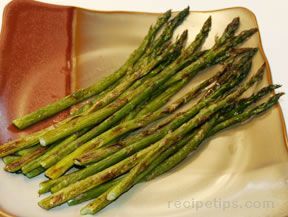 One simple but tasty option is to cook the asparagus, then marinate in an olive oil and vinegar dressing alone with thinly sliced red onions. Finally, white sauce goes with everything. 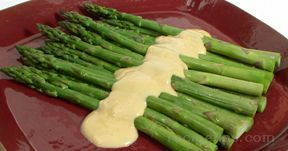 Asparagus is one of the classic vehicles for hollandaise sauce.